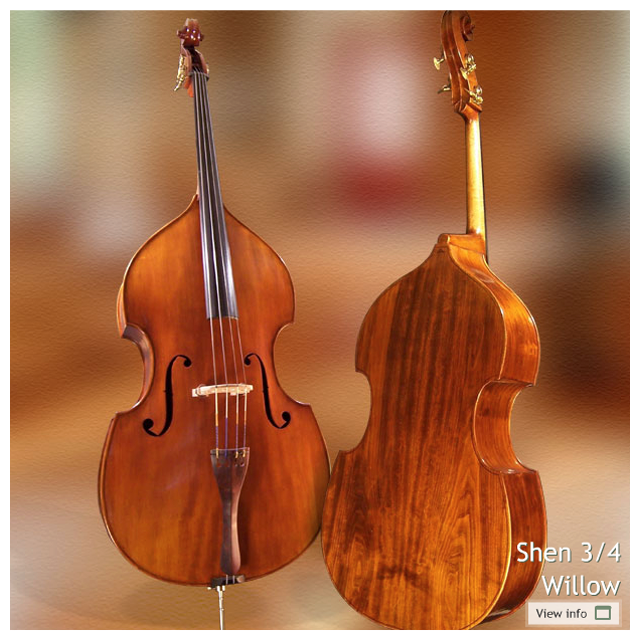 Shen's most popular all solid wood bass. The darker resonance of the willow sides and back gives this bass a mature and vintage sounding voice. This bass is a choice favourite for jazz and orchestra musician looking to command the music. Comfortable sloping shoulders makes this bass and easy choice as a solo instrument as well. Constructed as a flatback instrument, this bass has more focus in fundamentals. Also available with maple sides and back with a brighter voice, or roundback construction for higher harmonic content.